Journal of Hospital & Medical Management provide such international discussion platform where information among the interested individuals could be shared. This is an open access peer reviewed journal which considers articles in the mode of a research, review, case study, short communication, perspective and commentary. 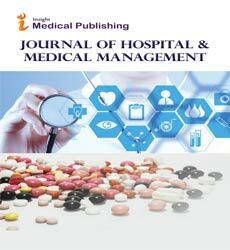 Journal of Hospital & Medical Management of the Insight Medical Publishing Group is an Open Access publisher and the standard charge for publishing is $ 1019 USD payable on acceptance of each paper. However, a fee waiver may be possible in some circumstances. Please contact the editors for further information.